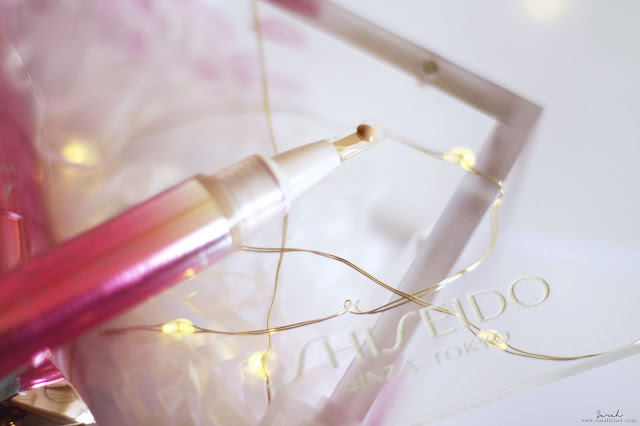 Shiseido White Lucent All Day Brightener & OnMakeup Spot Correcting Serum Reviewed ! 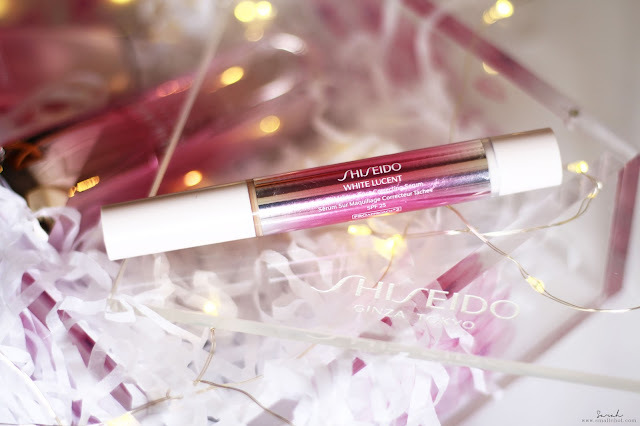 Shiseido White Lucent All Day Brightener N SPF 50+ PA++++ is an innovative daytime brightening moisturizer with an ion veil inspired by second skin treatment and time release effect to continue brightening moiturizing and protecting the skin throughout the day. You'll LIKE it because what's not to like when a moisturizer comes with super high SPF. You'll HATE the white cast it leaves behind. 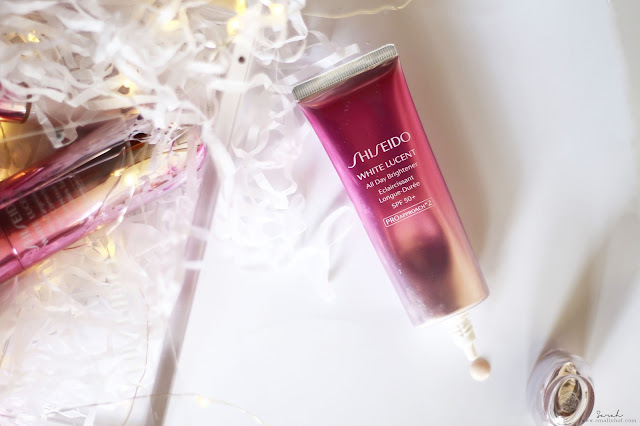 Shiseido White Lucent All Day Brightener N SPF 50+ PA++++ is just the most dreamy and shimmery day moisturizer ever - smells amazing and it leaves your skin with a glowy pearlescent finish. The fact that it comes with SPF 50+ PA++++, makes it even better because you can probably skip sunblock and just go out with a layer of moisturizer. 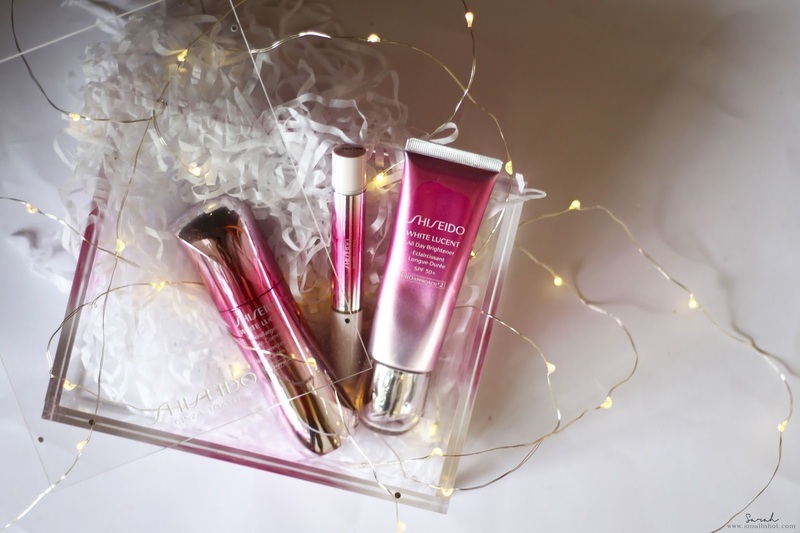 Everything from the formula and the finish feels good, but when it leaves a white cast behind after applying things go a little down hill from there. Even with just 2 pea-sized drops (as suggested), it makes you look like as tho you have the wrong shade of foundation on. It's great for sunny days because it brightens and comes with SPF, but the question is, can you deal with the white cast ? 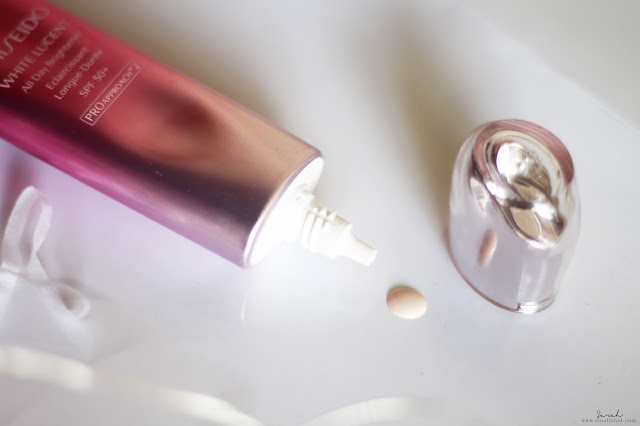 You'll LIKE the fact that this serum works like an everyday concealer to even out your dark spots (eg. dark eye circles and pigmentation). You'll HATE it because it's pricey for a 4ml of bottle. Firstly I have to note that the shade, Natural is a great match for most Asian types. It's not too pinky or yellow, giving that brightening effect without looking as tho you have a white patch on your face. There's no shimmer to the formula but it's creamy just like the NARS creamy concealer that blends nicely. But here's the catch, the coverage is not high nor medium. It only provides a decent-ish amount of coverage on dark eye circles and spots, whereas concealing blemishes just don't work.